Atomos has announced the AtomX Ethernet/NDI and AtomX Sync modules for the Ninja V monitor recorder. What is the AtomX Ethernet/NDI? 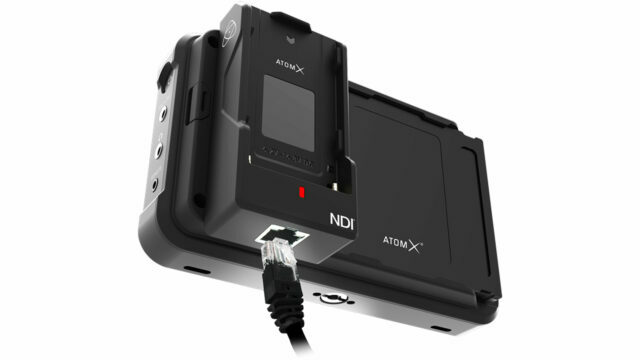 The AtomX Ethernet/NDI is an attachable breakout box that connects to the Atomos Ninja V, enabling the in/out of video and audio signals, and power via 1 GigE ethernet connection. This enables live broadcast quality video data transmission over IP, in which the Ninja V can then receive and transmit NDI from any NDI device on the network. The module has been created with NewTek, who developed NDI as a standard for video over IP. Although working with HDMI and SDI is the standard practice, from the smallest to the largest video productions, IP and NDI has been moving its way into the broadcast sector for the last few years. For users of networked infrastructure, using switchers like the NewTek TriCaster or NDI playout systems, it allows the Atomos Ninja V to act as a networked recorder, monitor or even playout device in a live broadcast or streaming environment. Wireless control of the Atomos Ninja V via Bluetooth is now possible with the new AtomX Sync module, bringing timecode, genlock and control functionality to over 1000 networked devices within a range of 300m. This enables any video device with syncing capabilities, which is particularly interesting when using DSLR or mirrorless cameras in live or multi camera productions, or with isolated audio recordings. 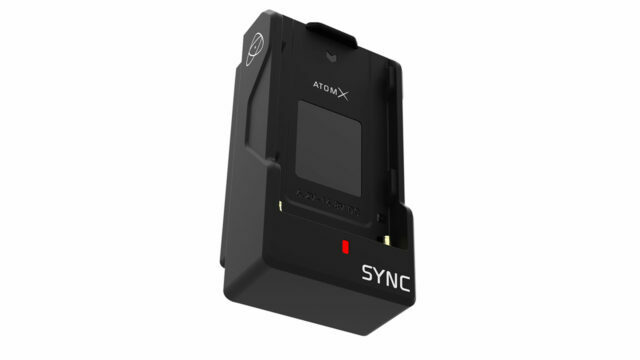 If you wish to sync the Atomos Ninja V with AtomX Sync module with another (non-Atomos) device, there are a number of options from Timecode Systems, that can be used to sync them together, such as the Ultrasync ONE which we have reported on in the past. At the moment, there is no mention of how the devices can be controlled via Bluetooth, but since Atomos have collaborated with Timecode Systems to work on this, we could expect an app of some kind to be available in the future. Batteries can also be hot swapped via the AtomX Sync module, so continuous live control can take place without interruption. At the moment, there is no availability date for the two AtomX modules, but these two accessories paved the way for future device add-ons for the Atomos Ninja V.
Would you use the AtomX modules in your networked workflow, or control your Ninja V via Bluetooth with these new modules? What additional modules would you like to see from Atomos? Let us know in the comments. 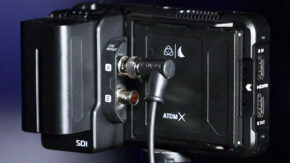 As an Fs5 shooter I’m really hoping that there will be an SDI module! 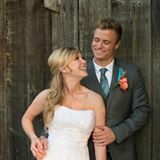 Any indication if this is in the works or even possible?